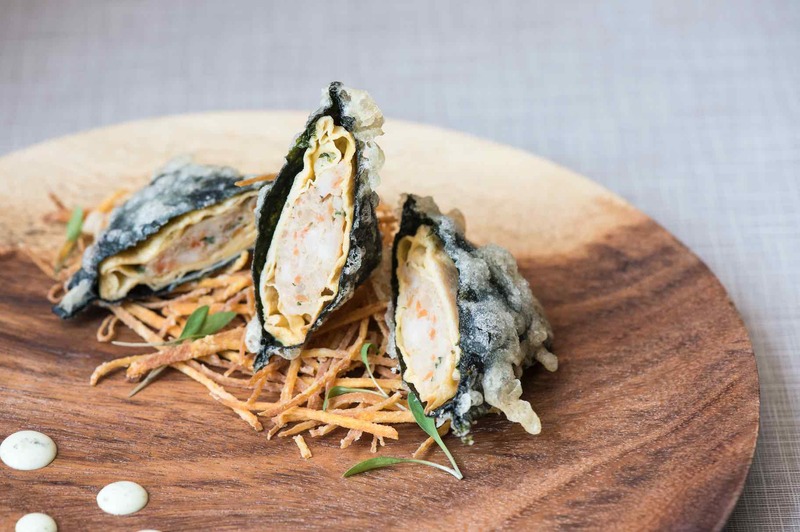 SPRMRKT is honoured to present the second instalment of its community and social support initiative, “Dining With A Conscience” – a line-up of fund-raising dinners at SPRMRKT Kitchen & Bar. 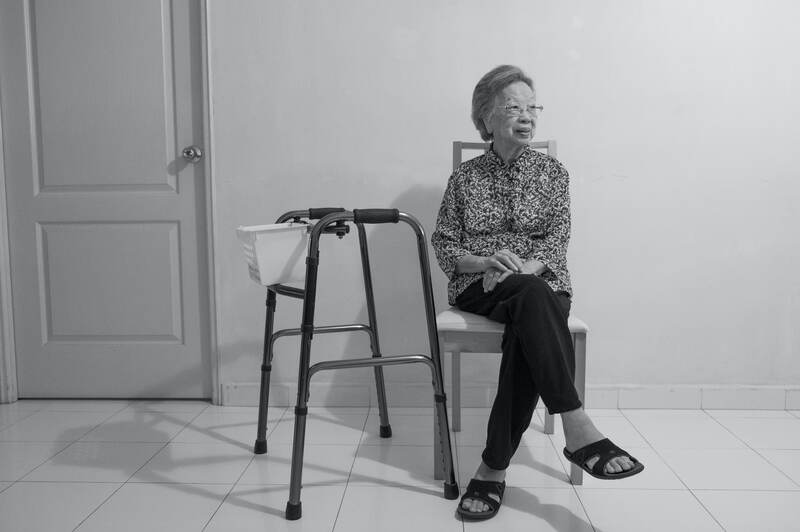 The event commences with two closed-door fundraising dinners on 23rd and 24th November 2017 featuring special needs photographer Isabelle Lim’s photo essay titled ‘Living With Grace’, presented as a silent video collage. 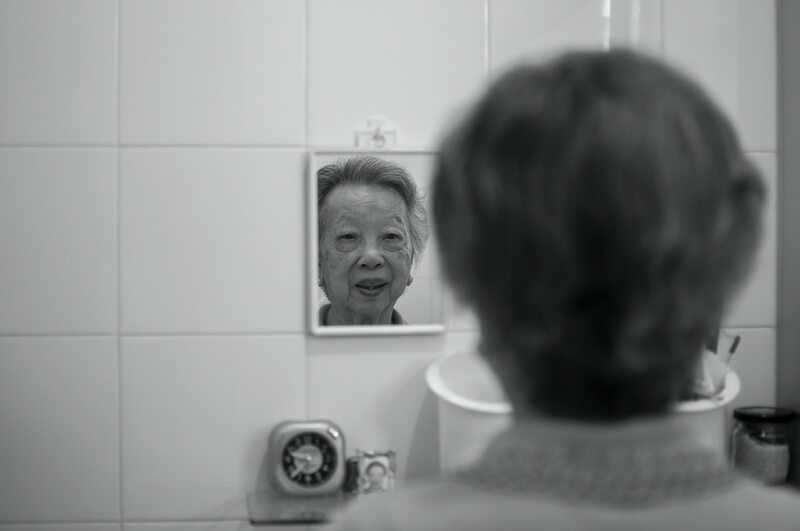 The photo essay is created in collaboration with her cousin, Tham Yin May and is inspired by her elderly grandmother’s resilience, having lived well in her silver years. This is followed by dinners open to the public on 25th and 28th to 30th November 2017. Folks who wish to view Isabelle’s works may do so at Here\Now, SPRMRKT Daily on Level 1, where a hand-picked photograph titled ‘At Ease’ from the ‘Living With Grace’ series will be on display from 23rd to 30th November 2017, alongside the silent video collage. 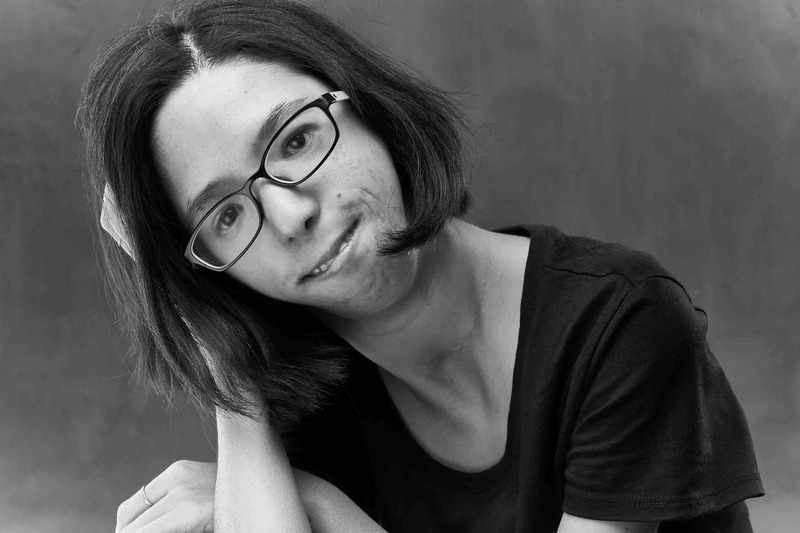 The dinners and photo essay aim to shed light on people with special needs and their profound abilities to live meaningfully while heightening awareness and raising funds for the TODAY Enable Fund, which Isabelle is a beneficiary of and is supporting through her photo essay. The fund seeks to enhance the education, skills and employment prospects of people with disabilities as well as foster greater empathy and inclusion in the wider community. Born with Nager Syndrome, Isabelle’s hearing and speech disabilities have enabled her to become more observant and intuitive as a photographer, sensing people’s laughter, joy and cheerlessness as she looks into the lens and captures them. 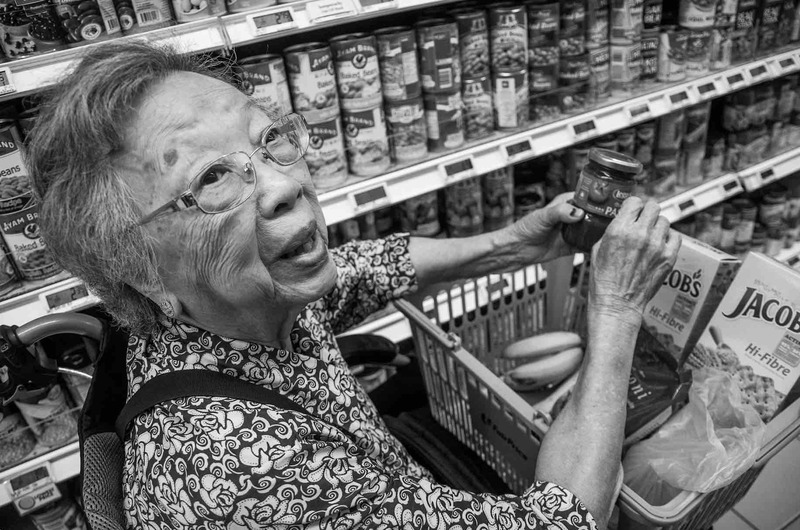 The “Living With Grace” photo essay depicts the daily life of Isabelle’s 96-year-old grandmother. The elderly, much like the disabled, are often stereotyped as infirm and helpless. In her photos, Isabelle showcases her grandmother’s unseen strengths of self-reliance, determination and ability; Isabelle believes her grandmother is a prime example of living with grace and stoicism, even in old age. Encounters with Isabelle have inspired SPRMRKT’s Chef-Owner Joseph Yeo to create a delightful 6-course menu for “Dining With A Conscience”, highlighting her favourite foods like Xiao Long Bao, Black Bean Beef Hor Fun, and Hainanese Chicken Rice that she discovered at different stages of her life, but presented in unexpected, contemporary renditions. These interpretations mirror the wondrous surprise found in the resilience and self-realisation of individuals with special needs who are very much able, or more so than others. 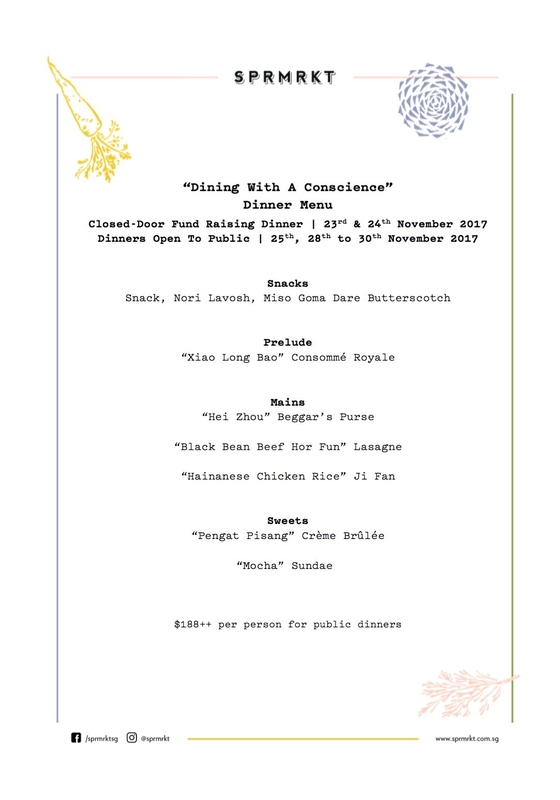 The two closed-door fund-raising dinners on 23rd and 24th November 2017 at SPRMRKT Kitchen & Bar feature a silent video collage of the “Living With Grace” photo essay that allows you to experience what it was like for Isabelle while she was taking these photos. A silent auction of four unique photographs will take place on both nights. This is followed by dinners open to the public on 25th and 28th to 30th November 2017 at $188++ per person. Net proceeds from all dinners from 23rd to 25th and 28th to 30th November 2017 and the silent auctions, as well as the full pledges, will be contributed to the TODAY Enable Fund and are tax deductible.